The University of Oklahoma Athletics Department announced Wednesday that student season tickets are sold out for the 2016-17 OU men’s basketball season. The sellout occurred less than 24 hours after tickets went on sale – the fastest sale of student tickets in the Lon Kruger era. Students who were unable to purchase season tickets will still have opportunities to attend games in the upcoming season. All non-conference games with the exception of Memphis (Dec. 17) and Florida (Jan. 28) will have free entry with a valid OU student ID. All other home games will offer $5 student tickets at the door based on availability. Coming off of the program’s fifth trip to the Final Four, Oklahoma returns eight letterwinners from last year’s squad, including starters Khadeem Lattin and Jordan Woodard. 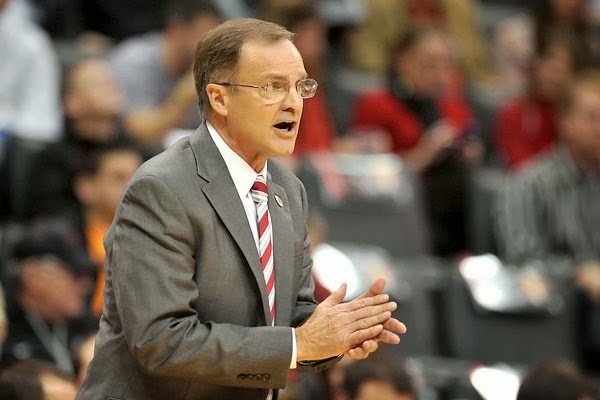 The Sooners have compiled a 28-2 record at the Lloyd Noble Center the past two seasons and have seen a 100 percent increase in student attendance since Kruger’s arrival in 2011. The first 500 students who purchased student tickets will receive a free OU basketball jersey. Details on jersey pickup will be emailed to the respected students later today. Oklahoma tips off the 2016-17 campaign with a Nov. 8 home exhibition game against Washburn. The Sooners begin the regular season Nov. 13 at home against Northwestern State. Fans may still purchase season tickets by calling (800) 456-4668 or by clicking here.